Since our last post about the production and delivery of the hard copy edition of Volume 1, we’ve made a slight (but important) revision to the binding specifications of the book and we’ve also finalised the way in which we will handle all requests for numbered/signed first Edition copies. The following video clip will bring you up to date. As you know, pre-orders for the 30th of October release date, are currently being taken at Gumroad. 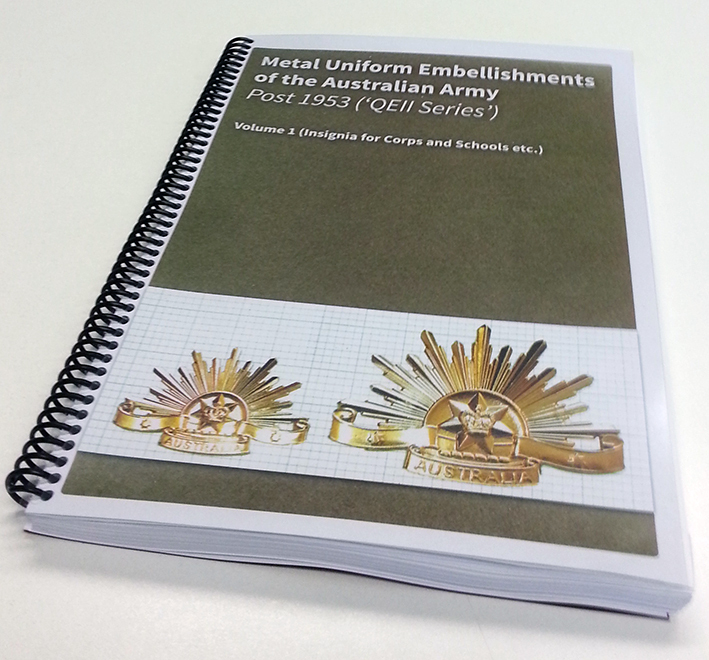 Nonetheless, if anyone is attending the Maitland Militaria Fair (commencing Saturday the 24th of October 2015), Arthur Bulter will be at the venue and it is expected that hard copy editions of Volume 1 will be available at that show. At the same time, all pre-orders for Vol 1 of our work, will already be in the process of being posted out in advance of the general release date (which remains set for 30 October 2015).